Fireplaces create a focal point in any room and it is a very important feature in a home design. They are used mostly to create the relaxing ambiance while keeping the room warm. 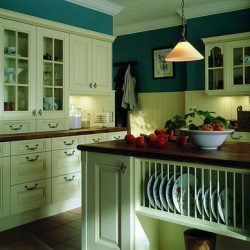 Back in those days, fireplaces are only used for the purpose of heating the homes during winters but now they are designed carefully by builders and the homeowners both for functional and decorative purposes. The number of fireplaces in a home increases its real estate value. When remodeling or building a home, homeowners in Manhattan, Brooklyn and Queens are leaning towards choosing ceramic wall tile around their fireplaces. With distinctive colors, shapes and patterns, ceramic tile can bring a whole new look not only to the fireplace but also to the room. It is the best choice for a fireplace because even with the continuous exposure to the fire and heat, these tiles doesn’t burn or release the toxic fumes or fade. With proper care, the ceramic tile around fireplace lasts a lifetime and requires very little maintenance and upkeep. Ceramic tile resists moisture, heat and fire, helping in the safety of the home. The ceramic tiles are very cost-effective and durable than other types of tile. 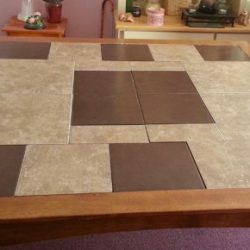 If there is a breakage in a tile due to impact, it can easily be replaced. Ceramic tile around fireplace is a good choice because it is lighter in weight to put vertically on the wall and it is widely adaptable and has design potential. Contemporary Living Room by New York Architects & Building Designers Architecture in Formation, P.C. Winters being harsh around Queens, Brooklyn, and Manhattan areas, homeowners incorporate fireplaces not only in the living areas but also in the bedrooms. 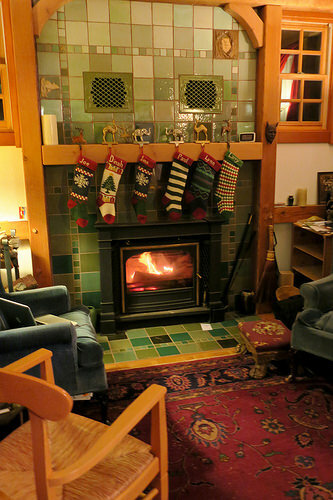 Families and friends usually gather around a fireplace during winter months. Since fireplaces create a focal point in the room, homeowners should pick the perfect type of tile for the mood they want to create, elegant, rustic atmosphere or the old world feel. The home improvement stores and tile specialty showrooms carry ceramic tiles in a wide array of colors, sizes, textures, shapes and even in printed designs for all budgets. You can custom order ceramic tile around fireplace for any style from southwestern to cosmopolitan or traditional to contemporary. When designing your fireplace, pick a color for the tile that compliments the decor of the room while adding visual interest. The right choice of ceramic tiles adds sophistication and elegance to any home decor. Ceramic tile designs are indistinguishable from marble, slates, travertines and other products due to modern manufacturing techniques. Let your imagination go free and let your creativity flow when you design your fireplace with ceramic tile. Most of the ceramic tiles have a glaze on them which protects them from water and stain penetration and so makes cleaning easy. 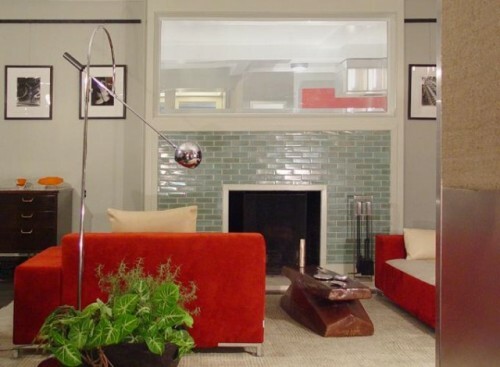 Mosaic tiles are very popular ceramic tiles used around the fireplaces in Manhattan, Queens, and Brooklyn. These are very tiny tiles in an extensive range of colors and shapes that are glued on a thin mesh backing, which makes the installation easier. Ceramic tiles that quite resemble the hardwood floors, bricks, and natural rocks are also a popular choice for a fireplace surround. 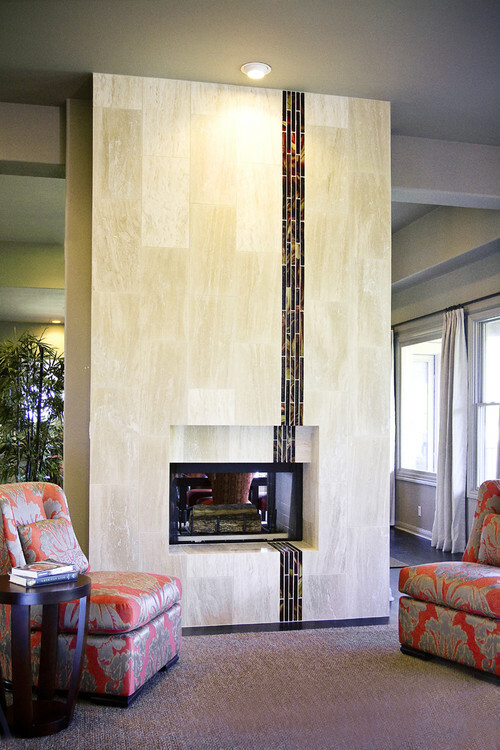 With the choice of ceramic tile around the fireplace, you can create a work of art.